The 3D Mink Lashes produced by Qingdao Shalimar Lashes are elegant and natural, the eyeliner is soft and durable, and the style is fashionable and novel. Our designer ETHAN constantly researches aesthetics, and the design concept is bold, and every new product can cause a stream of trends! In 2012, Shalimar Lashes company launched the Wholesale Mink EyeLashes, which made the world’s consumers feel refreshed. They began to fully understand the beauty of Wholesale Mink Eyelashes. This period is the germination period of the Wholesale Mink Strip Lashes. The consumers began to understand the Wholesale 3D Mink Lashes. The 3D Mink Lashes developed in 2013, because of the layered sense, once again let the consumers around the world redefine the beauty of false eyelashes, Changed the drawbacks of the original false eyelashes with only one curvature (BCDJ curvature), exaggerated, realistic Natural, 3D Mink Lashes have been popular all over the world! 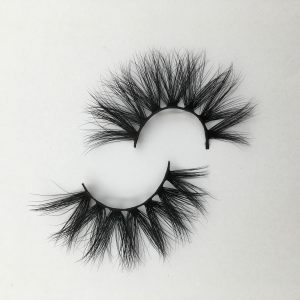 In October 2018, our designers once again boldly innovated, increasing the length of Wholesale Mink Strip Lashes from 13-16mm to 20-25mm Siberian Mink Lashes.Once again set off the world consumption boom. Consumers around the world have redefine 3D Mink Lashes Bulk because of our designers’ bold innovations. Our partners also enjoy the unlimited business opportunities brought by each innovation! At the same time, many of our peers have begun to imitate our styles, but because there is no technology, imitation products can only be imitated, but never imitate the essence of beauty, product quality is not well controlled. 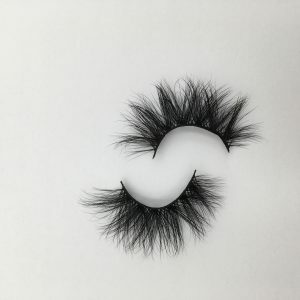 There are many vendors of our Wholesale 3D Mink Lashes pictures to promote the customer,the actual goods provide defective products, and there are also many customers who communicate with us from other suppliers. Their goods are cheap, the quality is not good, the delivery time is slow, and they are complained by consumers. The money they earn is not enough compensation, and let them don’t have more than enough energy, and later found our website from GOOGLE, ordered 200 pairs at the beginning, 3,000 pairs in the first week, and 5000 pairs in the second week. Do you say whether to lead the trend, is it selling well? Shalimar Wholesale 3D Mink Lashes Vendors Eyelash Packaging Box Private Label, makes your beauty unique! 20mmMink Strip Lashes,21mm Mink Strip Lashes. Do you know Selection Mink Eyelash Vendors Is Very Important ? 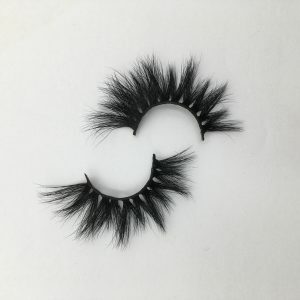 Previous post: How To Maintain The Mink Lashes? Next post: Which aspects of Qingdao Shalimar Mink Lashes Wholesale Mink Lashes have been improved?